The Portland Head Lighthouse was completed in 1791 under the orders of America's first president, George Washington, and since has become the world's most photographed lighthouse, renowned for its historic and artistic appeal. 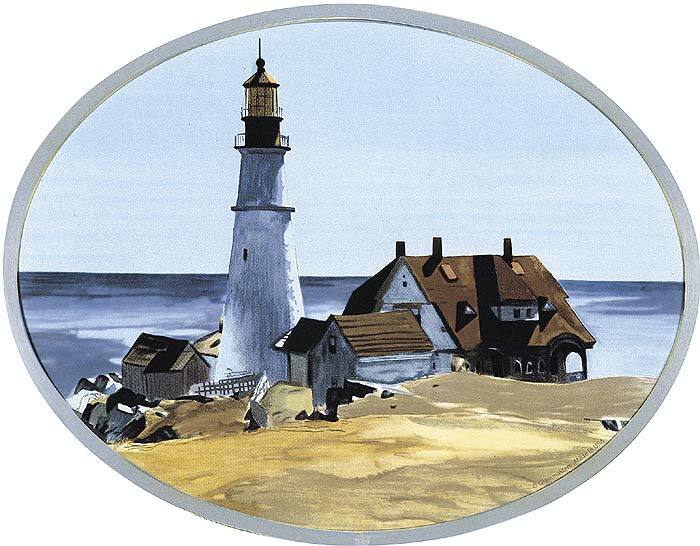 The grandeur and serenity of this famous old lighthouse scene was depicted in watercolors by famed American artist, Edward Hopper. His painting now hangs in the Museum of Fine Arts, Boston, and has been faithfully recreated by the artisans of Glassmasters.